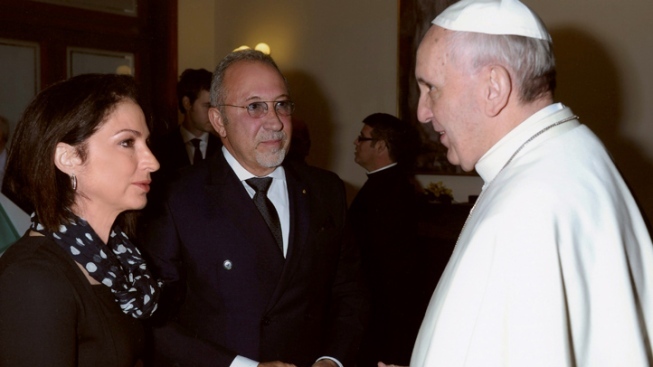 Gloria and Emilio Estefan with Pope Francis. Gloria and Emilio Estefan met Pope Francis and attended a private Mass with him during a recent trip to the Vatican, they announced Monday. The Estefans are very proud that the new pope hails from Latin America, and asked him to pray for human rights in their homeland of Cuba, they said in a statement released by Estefan Enterprises Inc. Photos were also released of the meeting, which occurred on April 20, a spokeswoman said. Gloria Estefan spoke about the importance of religious freedom in the world today at a TEDx conference sponsored by the Vatican on April 19, and the private Mass was held the next day. The Grammy Award-winning singer is the first international recording artist to meet the new pope, the statement says. 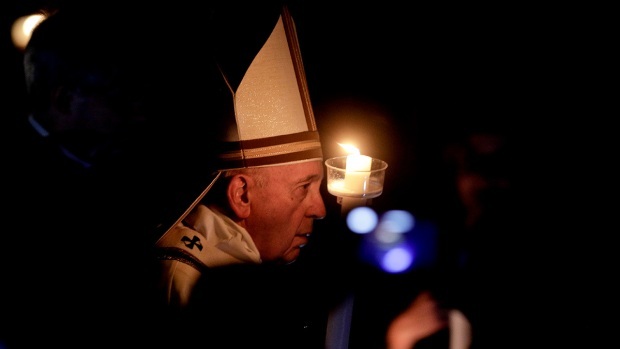 The pontiff, who was the longtime archbishop of Buenos Aires, is the first Latin American pope. Music and prayer are very important for the Estefans and have given them strength during difficult times, they said. "Music is like part of my religion," Gloria Estefan said. She previously asked Pope John Paul II to pray for human rights in Cuba in 1995. Below: Pope Francis with Emilio Estefan (courtesy photo).